We are a full-service animal hospital treating dogs, cats, birds, reptiles, and small mammals. Our team is dedicated to the families and pets in and around Blue Springs, MO. 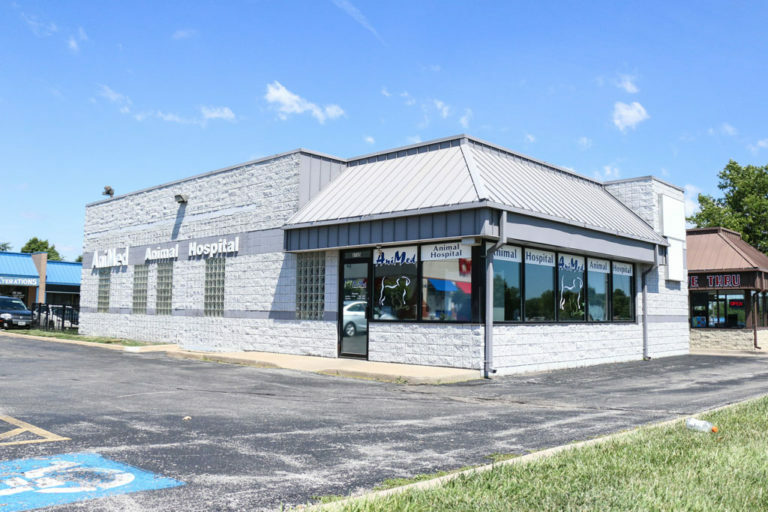 Our sister facility, Crysler Animal Hospital, is located just 10 miles away in Independence, Missouri, giving us the opportunity to offer a wide range of quality services, from advanced surgery to acupuncture and more. We are all here because we love animals, we have a passion for ensuring their quality of life and health. Our doctors are always willing to, not only answer a question, but use it as a teaching moment. In addition to diagnostic and preventative services, our hospital is equipped with digital radiography, conventional dental radiography, in-house labs, cold therapy laser, ultrasound, and acupuncture. We also offer exotic animal care and veterinary behavior therapy. We’re focused on making sure our hospital has the right tools to allow our doctor and medical staff the ability to provide excellent service and care. AniMed Animal Hospital is a horse. We are strong, we work hard, and we strive to those we meet. We are all unique, but all equally valuable. Horses are also some of the friendliest creatures on Earth. A clinic cat? We’ve got one of those! You can follow him on Instagram, @martymccheezeit. Find him making friends at our clinic, lounging in the sun, and making our days a little brighter. With a nationally recognized park system and a location only 20 miles outside of Kansas City, Blue Springs, Missouri offers a perfect mix of residential beauty and bustling commerce. You’ll find plenty of opportunity to enjoy a horseback ride, visit dog-friendly Somerset Winery or take in a Royals or Chiefs game.